The Old Firehouse Museum Board, a group of committed volunteers and Stone County citizens, have worked diligently to bring the Museum from idea to vision to reality. The current Board includes: Mike Cain, Ruth Ford, Lynette Havens, Kathy Kirker, Rita Rester, Patty Breazeale, and Alfred Byrd. Museum Agreement signed with the City of Wiggins. 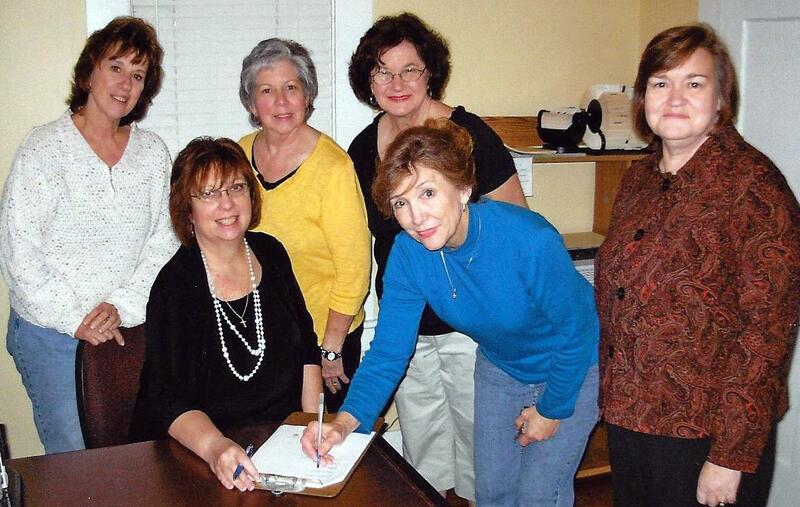 Back Row: Kathy Kirker, Ruth Ford, Rita Rester, Lynette Havens. At Desk: Rebecca Taylor (Attorney, City of Wiggins) and Mike Cain, Chairman.